From the best-selling author who offers “the most utterly compelling translation of dog to human I have ever seen” (Jeffrey Masson), a joyful chronicle of a dog that is also a groundbreaking answer to the question: How can we give our dogs the happiest, healthiest lives? 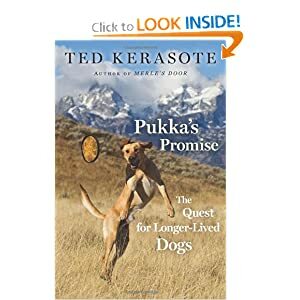 When Ted Kerasote was ready for a new dog after losing his beloved Merle — who died too soon, as all our dogs do — he knew that he would want to give his puppy Pukka the longest life possible. But how to do that? So much has changed in the way we feed, vaccinate, train, and live with our dogs from even a decade ago. In an adventure that echoes The Omnivore’s Dilemma with a canine spin, Kerasote tackles all those subjects, questioning our conventional wisdom and emerging with vital new information that will surprise even the most knowledgeable dog lovers. Can a purebred be as healthy as a mixed-breed? How many vaccines are too many? Should we rethink spaying and neutering? Is raw food really healthier than kibble, and should your dog be chewing more bones? Traveling the world and interviewing breeders, veterinarians, and leaders of the animal-welfare movement, Kerasote pulls together the latest research to help us rethink the everyday choices we make for our companions. And as he did in Merle's Door, Kerasote interweaves fascinating science with the charming stories of raising Pukka among his dog friends in their small Wyoming village. Funny, revelatory, and full of the delights of falling in love with a dog, Pukka’s Promise will help redefine the potential of our animal partners. I'm not an animal person and have pretty much successfully avoided having pets. Put simply, I'm allergic to cats and I've got enough work to do raising kids; I don't need another family member to feed, groom, medicate and exercise. However, I know a lot of people who consider their pets to be true members of the family and look upon the dates of pet deaths in pretty much the same way they look at the dates of death of other family members. Is the book easy to read or highly technical? It is easy to read but has a lot of information. Is there anything you learned in the book that has changed how you deal with Izzy? The book talked about it not being good to over-vaccinate animals. I was concerned about it before reading this book, and after reading it, I discussed it with my vet and she agreed that since Izzy isn't competing anymore, we could cut back on the frequency of vaccines. 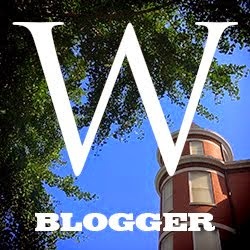 Is there anything you read that you thought was just plain screwy? No, I'd heard of lot of this before, in bits and pieces; the advantage of this book is that it pulled it all together. Do you recommend this book to other dog owners? Well, there you have it from a real pet lover. Thanks to the publisher for providing a complimentary review copy. Izzy's Mom was glad to have it. 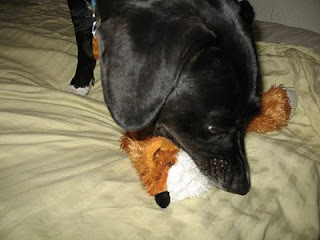 If Izzy wants to meet Pukka, she can watch Pukka's video here. RAnn, that's a really creative way to get a book review done. Our vet has remarked on how long-lived our dogs have been. Out of the four, only one died at a "normal" age. The other two lived to be between 114 and 120+ in people years. We're on our last dog which is part boxer. They usually don't make it past 10 years, so we don't really know what to expect since we don't know what other genes she carries. Anyway, they have been and are great companions and have taught us a lot.